Jordanians vote in a parliamentary election boycotted by opposition members who say voting reforms enacted last year favor supporters of King Abdullah. 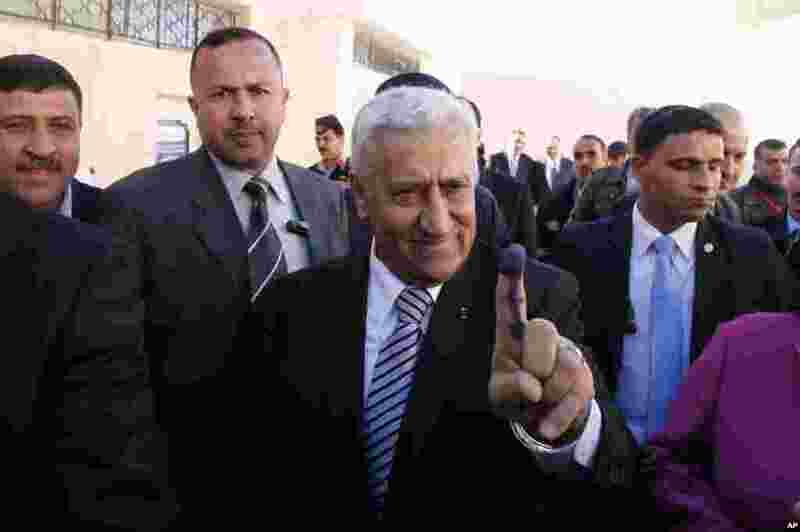 1 Jordanian Prime Minister Abdullah Ensour shows the voting ink on his finger, Al-Salt, Jordan,January 23, 2013. 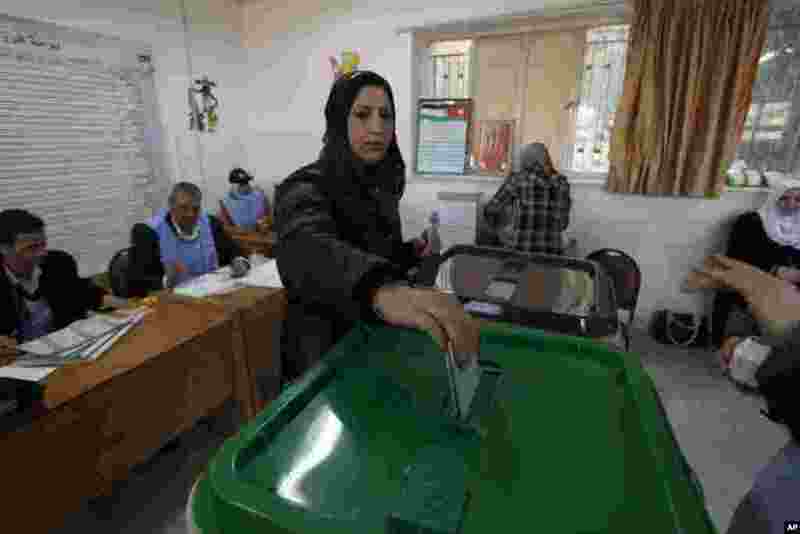 2 A woman casts her vote at a polling station during the first hours of the Jordanian Parliamentary elections, in Al-Salt, Jordan, January 23, 2013. 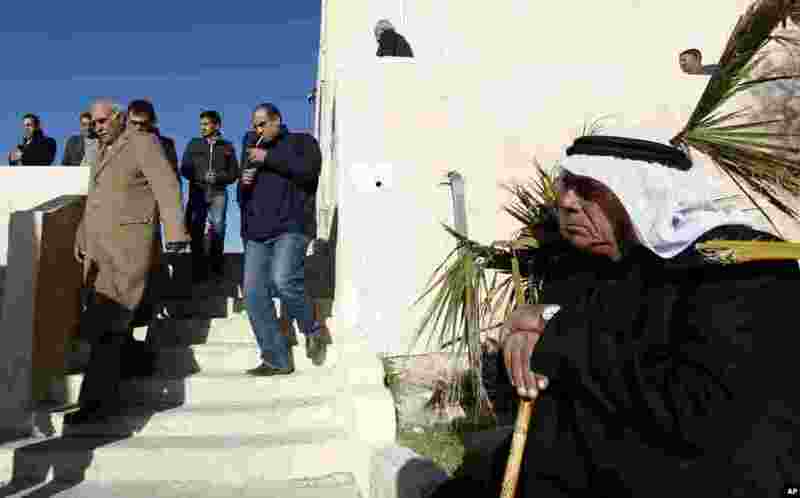 3 Parliamentary candidate Mahmoud al Kharabshy, left, arrives at his district polling station to observe the voting process in Al-Salt, Jordan, January 23, 2013. 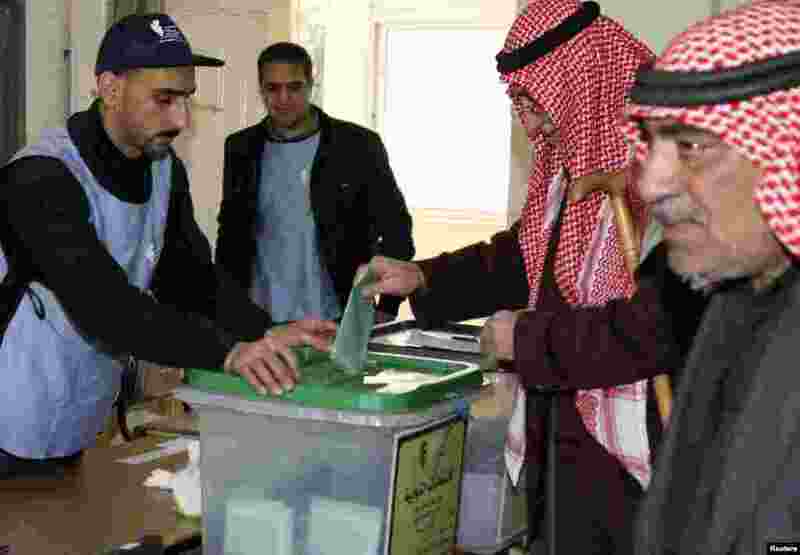 4 A man casts his ballot at a polling station in Amman, January 23, 2013.